Taiwanese LED manufacturers announced that the shipment of LED backlight products has contributed to their revenue in 3Q18. LED chip maker Epsitar said the orders for blue LED backlight and four elements LED have grown. Meanwhile, LED vertical integration manufacturer Lextar revealed its escalating revenue for August. Lextar registered a revenue of NT$ 1.08 billion (US$ 35.09 million) for August with an increase of 13.8% MoM. The company said the lifted revenue in August mainly came from the shipment of backlight products and LED lighting modules. 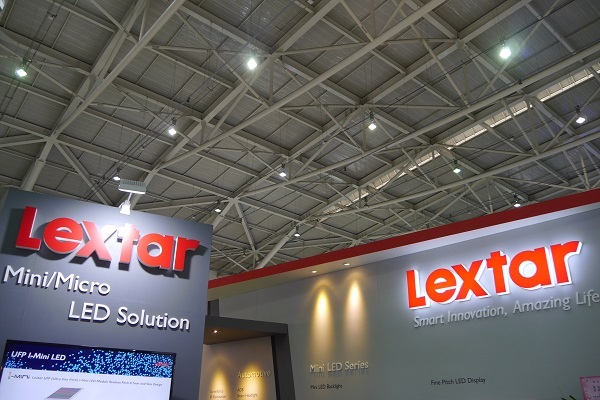 Lextar has launched its latest LED products including Micro LED chips, Mini LED RGB display modules and Mini LED backlights. The backlight products will be applied in drawing displays, gaming monitors and notebooks. In addition, Lextar has shipped its automotive lighting modules to its European clients for the headlight of trains while developing Adaptive Driving Beam (ADB) smart automotive lighting modules which have drawn attention from Chinese clients. According to Lextar, it will continue its adjustment of products portfolio and new technology developments. Epistar has adjusted its operation strategies this year and has reported a revenue decrease for the past seven months; however, the company said the orders for its red light LEDs and four elements LEDs have reached its full capacity and the demands of blue LEDs have also increased. Epistar forecasted a revenue lift in Q3 compared to the previous quarter. Epistar has also begun to ship small amount of Mini Led backlight products, providing backlighting for large size displays and gaming monitors and sending samples for medium and small size displays. However, the contribution of its Mini LED products will not be visible before 2019.